The Legend Of Zelda: Breath Of The Wild was such an incredible game with some truly amazing artwork. A while back The Breath of the Wild Master Works book released in Japan and was chock full of illustrations that were created during the development of the game. The book also had developers notes about each artwork but you would have a hard time reading it if you don’t understand Japanese. 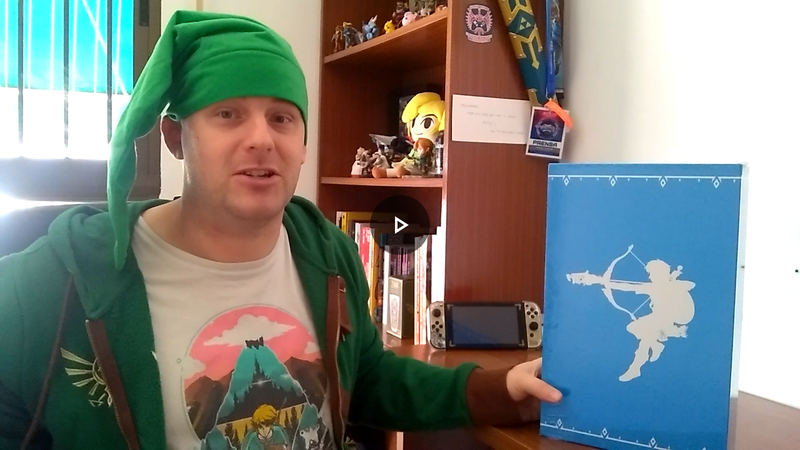 Fortunately, The book has been translated into English and given a whole new title, The Legend Of Zelda: Breath of the Wild – Creating A Champion. The Creating a Champion book is published by Dark Horse, and has over 300 pages of amazing Breath of the wild artwork and more. The Collector’s edition, also known as the Hero’s Edition comes packed with a few extra goodies as well including a Cloth Map of Hyrule as it appears in the game, A Photograph with all of the champions together, and a glass Spirit Orb as well. We show it all off in our latest unboxing video below. You can check out our Creating A Champion Hero’s Edition Unboxing Videoon our YouTube Channel or in the embedded video below.